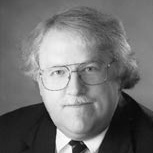 Charles R. Alton, J.D., L.L.M., M.L.T., Attorney at Law, has an advanced tax law degree from Georgetown University. He worked in the office of the Chief Counsel of the Internal Revenue Service in the area of income taxation of trusts and estates from 1984 - 1991, and also as Assistant Branch Chief in the estate and gift tax subject area. He has been in private practice in the Winchester area since 1992. The original copy of a Will should be stored in a place that is secure from theft and is waterproof and fireproof. Keeping your Will in a fireproof safe or lockbox is not uncommon; however, problems can arise if the safe is not kept locked or if it is small enough to be stolen with the contents still inside. If a bank or trust company is named as executor, the original Will may be stored with that bank or trust company. It is generally not a good idea to store the Will in your lawyer’s office, partly because you do not have ready access to the Will. If the person storing a Will refuses to deliver it, legal action can be taken to compel the production of the Will. If the Will is kept in a safe deposit box, other joint tenants of the safe deposit box will be able to retrieve the Will and present it for probate after the death of the testator. If there are no surviving joint tenants, access to a safe deposit box is allowed for delivery of the Will to the appropriate circuit court clerk’s office for probate.